For an English/Journalism major, I have a staggering number of classics I still need to read. Right now, I’m fully engrossed in One Hundred Years of Solitude by Gabriel Garcia Marquez. It is a wonderfully compelling book with such rich, beautiful language it almost inspires me to try and write my own Spanish novel. Almost. Obviously it didn’t inspire my cooking, because this dish is clearly not Spanish, but regardless of that, if you haven’t read this book I highly recommend it. And if you have any suggestions for classics I need to read, please send them forth. 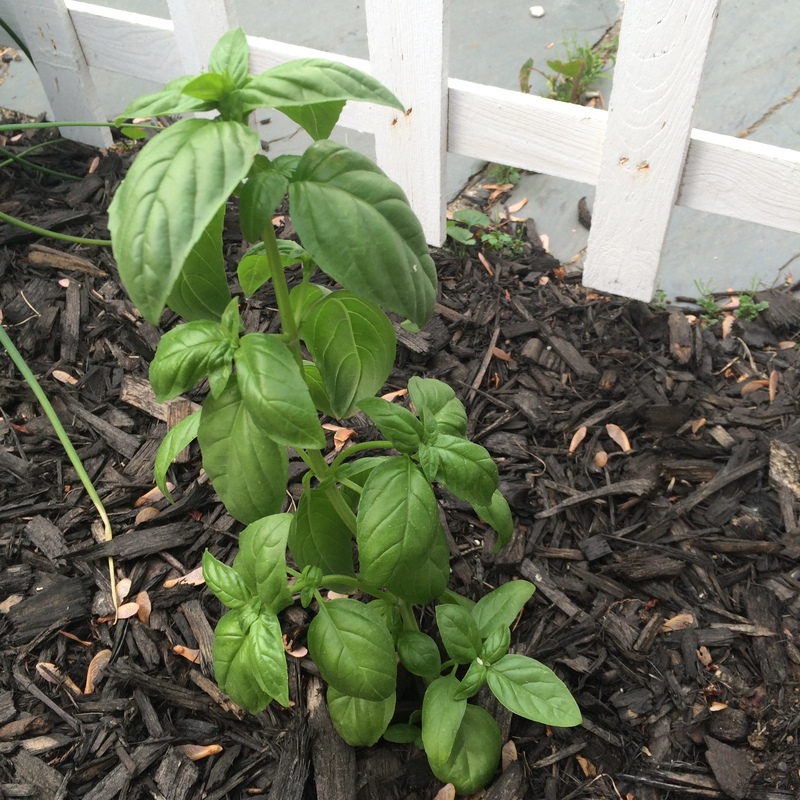 In a medium sauce pot, bring the 3 cups water to a boil, add the 2 cups rice and the basil, cover, and turn down to a simmer for about 10 minutes or until the water is gone. Set aside. In a large skillet, heat 1 tbsp of the oil on medium until warm. Add minced garlic and sautee for about 30 seconds or until just softened. Add onion and sautee, stirring continuously, until soft and translucent. Add the spinach and coconut milk and turn heat to low. Cover and let steam to reduce spinach. 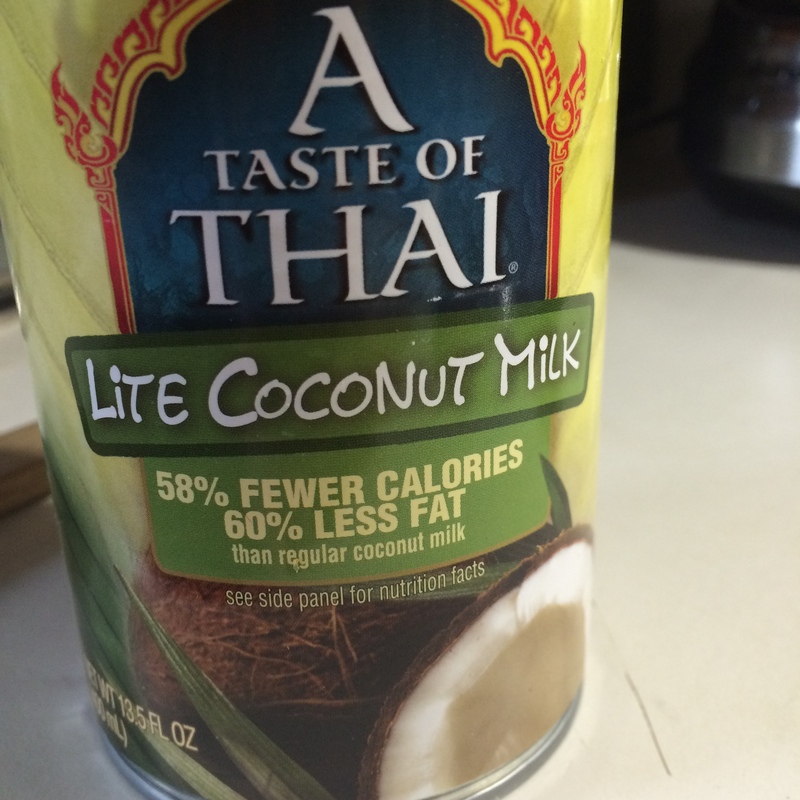 The coconut milk will steam off and absorb so keep an eye on the dish to ensure it stays moist and doesn’t burn. 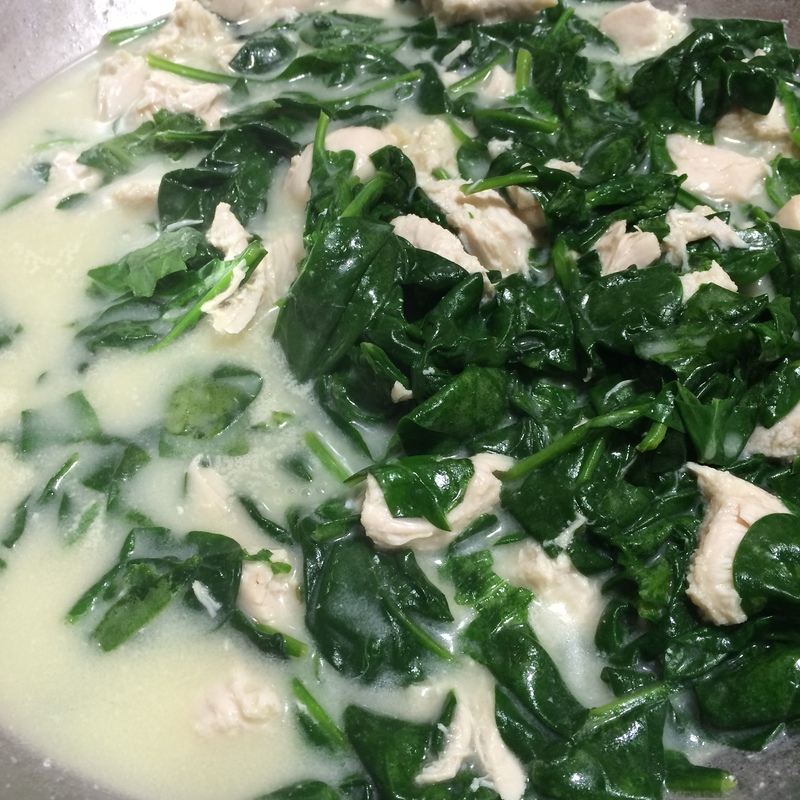 While the spinach is cooking, place chicken breasts in a large skillet with remaining tablespoon of oil and slowly cook on low-medium heat, turning sides every few minutes to cook thoroughly through. 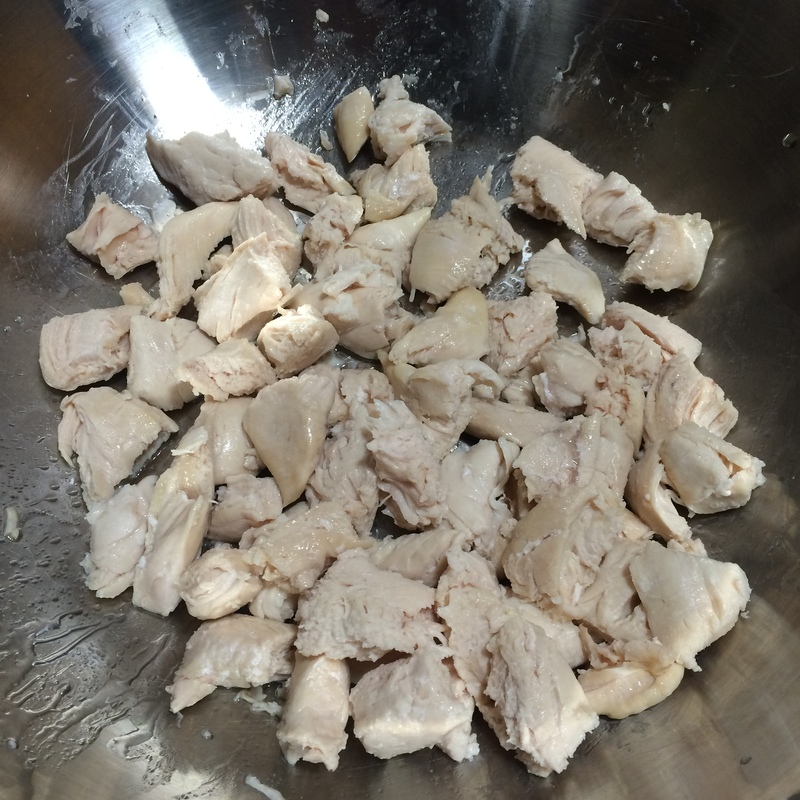 Once chicken is done, remove from pan and place on a cutting board. 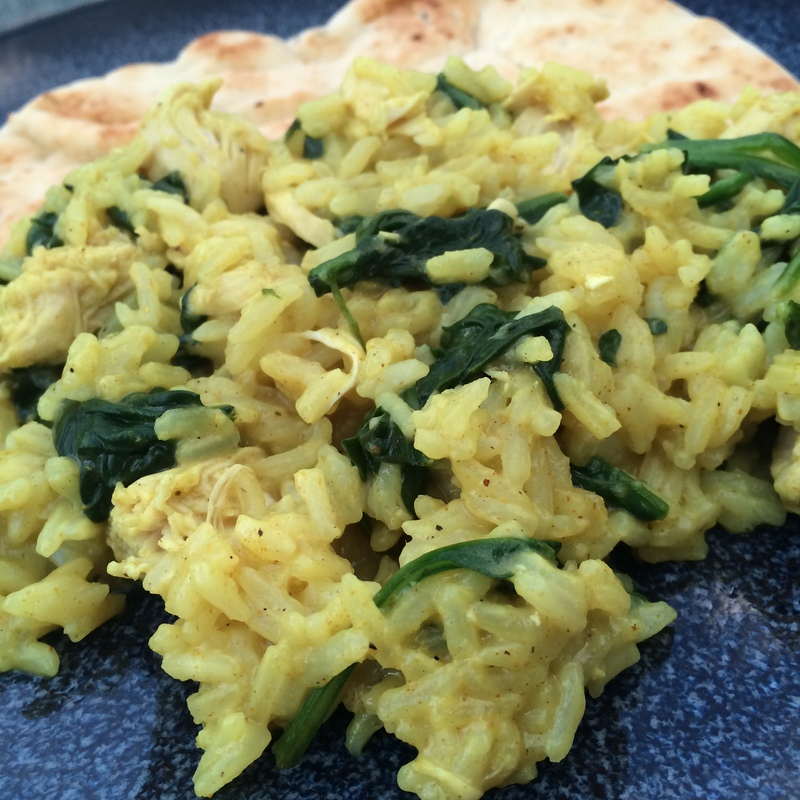 Slice the breasts into 1-inch pieces and place into skillet with spinach. 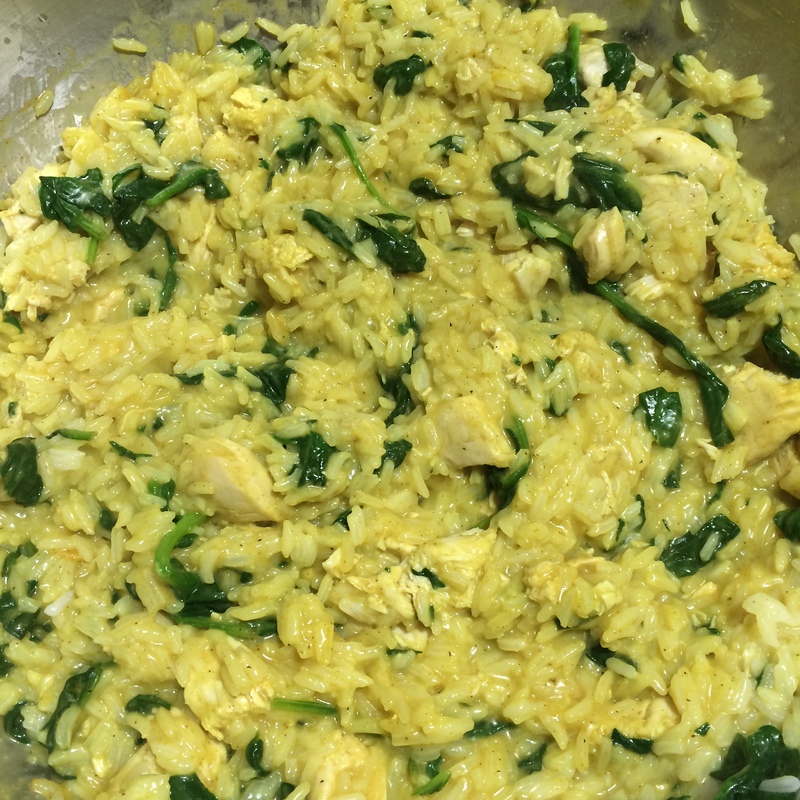 Add the rice to the chicken and spinach and stir well. Add the curry spice, salt and pepper and stir well. 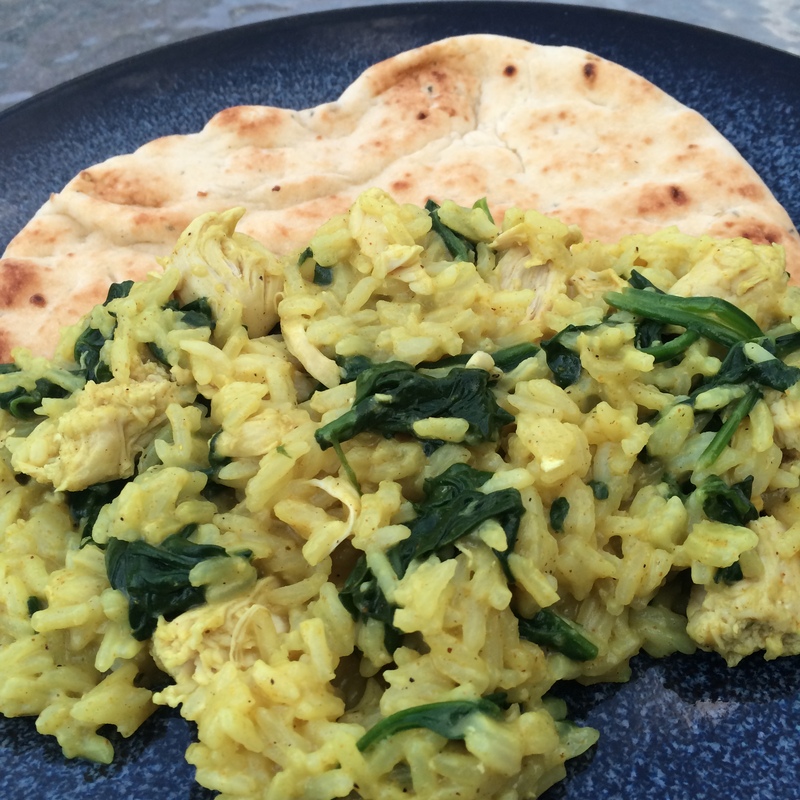 I served this with a hearty slice of garlic Naan bread (which is amazing). Enjoy!